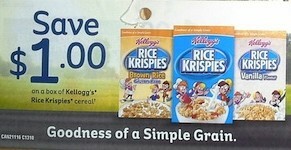 Walking around the supermarkets I found this coupon for Rice Krispies Cereal. Kellogg’s coupon found in the cereal aisle next to the Rice Krispies. 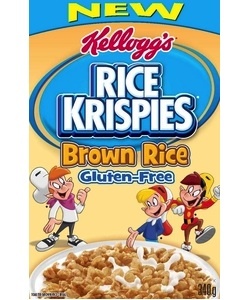 This is a coupon to save $1 on a box of Kellogg’s Rice Krispies cereal. For more than 80 years, Kellogg’s Rice Krispies® Cereal has been made nearly the same way, from just a handful of ingredients. Each piece is made from a single, toasted grain of rice, which moms know is one of the easiest grains to digest, so it’s gentle on little tummies.